The leaves are falling — and so is the temperature. As we break out the down comforters and turn on the heat, many of us don’t realize how much we are needlessly spending to keep warm. 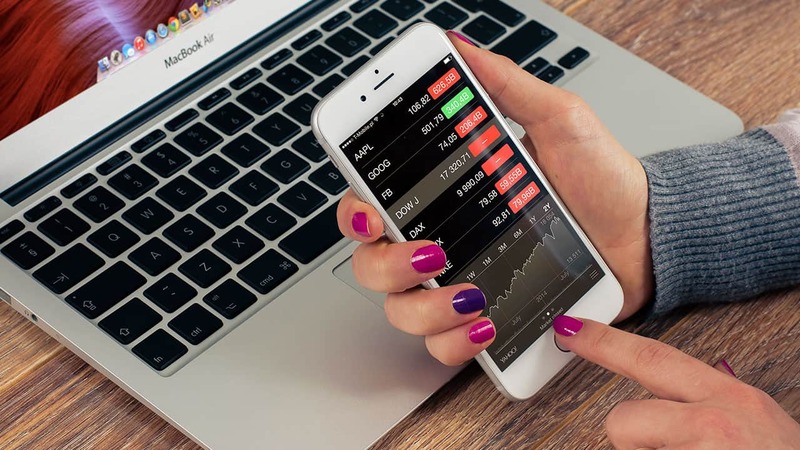 Average U.S. households spent about $2,100 on home energy in 2012, according to the Alliance to Save Energy, or ASE, an organization based in Washington, D.C. But do you know just what will run up your bill and leave you out in the cold? 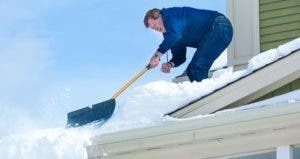 There are plenty of old wives’ tales floating around telling you the best way to keep your house toasty. We uncovered the truths behind these common myths that wind up toasting your holiday savings. 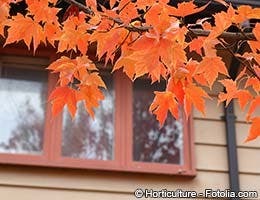 These are the best and cheapest ways to weatherize your home, whether you’re a homeowner or a renter. Myth: Turning off the heat in your home during the day is the best way to conserve energy. Fact: Don’t be penny-wise and pound-foolish, especially if you live in an area with a risk of frozen water pipes. Completely turning off the heat, letting the temperature drop and then reheating your living space could actually be more expensive than lowering the temperature of your home, according to the U.S. Environmental Protection Agency, or EPA. Keep in mind that repairing burst water pipes and any resulting damage can easily cost thousands of dollars. The bottom line? “You should not turn the heating system totally off if there’s a chance of freezing,” says Rodney Sobin, a senior policy manager for the ASE. Solution: Invest in a programmable thermostat, which can be as cheap as $20 or $25 at big-box stores. During the winter, if you schedule your thermostat to drop to 68 degrees when you’re home and lower when you’re sleeping or away, you can save $110 per year or more, according to EPA estimates. 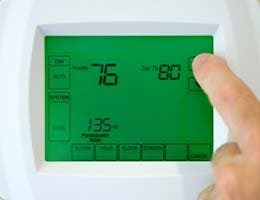 If you choose to install the thermostat yourself, be sure to shut off the electricity in your house during installation. 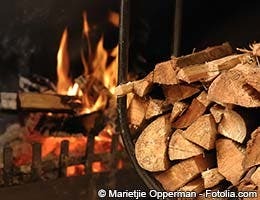 Myth: Using a wood-burning fireplace will reduce your heating bills. “In most cases, using the heater is going to be a better choice from a thermal performance point of view, but fireplaces may be desired as an aesthetic choice,” says Max Sherman, a fellow at the American Society of Heating, Refrigerating and Air-Conditioning Engineers, or ASHRAE, and a staff senior scientist/group leader at Lawrence Berkeley Laboratory. To be on the safe side, have the chimney inspected once a year. A CSIA-certified chimney sweep might charge $100 to $300 for the inspection; the sweep itself may cost extra, says Eldridge of the CSIA. To avoid losing more heat through the chimney, remember to close the damper after the fire is completely out, Eldridge says. Myth: Portable space heaters are energy hogs. Fact: “Space heaters can be an energy-efficient option in a poorly insulated house when it is acceptable to only heat a small area,” says Sherman. Solution: If your home doesn’t come with central heating, a portable space heater may be your best bet for warming up. 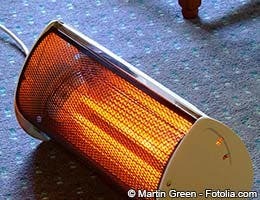 However, not all space heaters are created equal; do your research before buying. If your home already has central heating, using an electric space heater can help save money — if you are willing to turn down the home’s main heating system. Consider using a portable electric space heater if you and your family tend to gather in one room for a few hours. But always keep these safety tips in mind: Clear a 3-foot zone around the space heater, never plug the unit into an extension cord, and remember to turn off and unplug the heater when unattended, according to the National Fire Protection Association. Myth: Having cold feet is just part of enduring the winter. Fact: Cold feet may actually be a sign that your home isn’t weatherized properly, says Sherman. If you feel any drafts along the floor, try to weatherstrip, caulk or seal any cracks. Solution: Not everyone can install radiant heating under the floors, so keep your toes warm by adding rugs in the bathrooms, kitchen, bedrooms and other areas with tile, marble or hardwood floors, Sherman says. Use this time to make sure heating vents aren’t blocked by furniture, stacks of magazines or other objects. Consider buying an air deflector (a plastic shield that attaches to a grate by magnets) that can help redirect heat, says Sobin. “Air deflectors help you get better air circulation, especially if you have a table over a floor register. They also help you avoid getting hot air blowing directly at you. I had that problem with a ceiling register right over my bed,” Sobin says. You can easily find air deflectors for about $5 apiece at hardware stores. And don’t overlook the obvious: Wear socks and slippers around the house. Myth: You have to buy a lot of expensive materials and products to weatherize and insulate your home. Fact: For renters and homeowners on a budget, redecorating your home during the winter can be an inexpensive way to insulate your home. If you have ceiling fans, remember to switch to winter mode, says Sherman. When looking up, blades in winter mode (and on a low setting) should be rotating clockwise, pushing hot air that rises back down to the floor. Myth: Electric blankets waste energy. Fact: “Electric blankets use very little energy. They are definitely more energy-efficient than the same-weight blanket and a higher room temperature,” says Sherman. 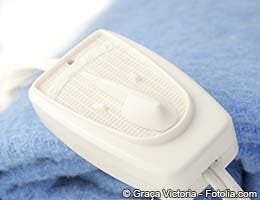 The Electric Blanket Institute — a nonprofit started by a group of retired industry professionals — offers an online consumer guide with safety tips, such as not using an electric blanket with infants, small children or senior citizens who cannot operate the controls. They are also safe to use at night if you like to keep your room temperature cooler. As always, remember to unplug the device when not in use. Myth: Your water heater always works efficiently. Fact: Heating your water typically accounts for about 18 percent of your household utility bills. 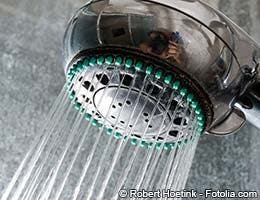 You could save $24 to $60 annually by lowering the thermostat of an electric water heater to 120 degrees Fahrenheit, down from the manufacturer’s default setting of 140 degrees Fahrenheit, according to the EPA. Solution: Wrapping the tank with a fiberglass blanket also helps retain the heat longer, says David Slater, an Association of Energy Services Professionals member from CLEAResult Consulting. The blanket slows down how quickly the water heater loses heat, so you’ll use less energy to maintain the tank temperature. You can find water-heater insulation blankets from about $20 at big-box stores. Install the fire-resistant blanket with the included safety straps or foil tape, and keep the blanket wrapped around the water heater year-round. “Do not use a bedroom blanket,” Slater says.